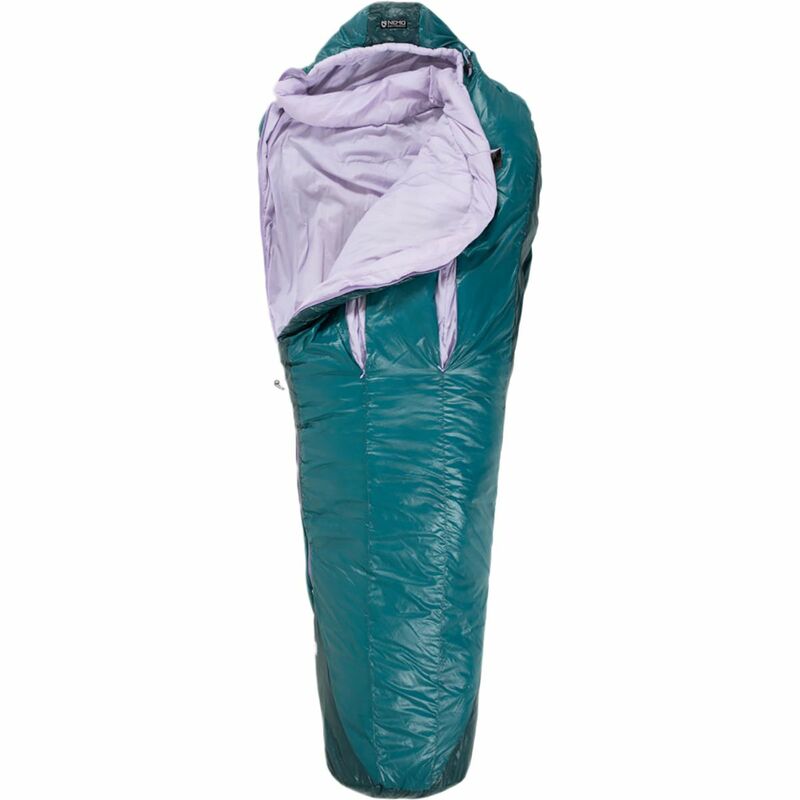 If you're part of the seventy percent of people who sleep on their side, then you already know just how uncomfortable restrictive mummy bags can be, especially when you're trying to get a good night's rest to gear up for the next day's trek. 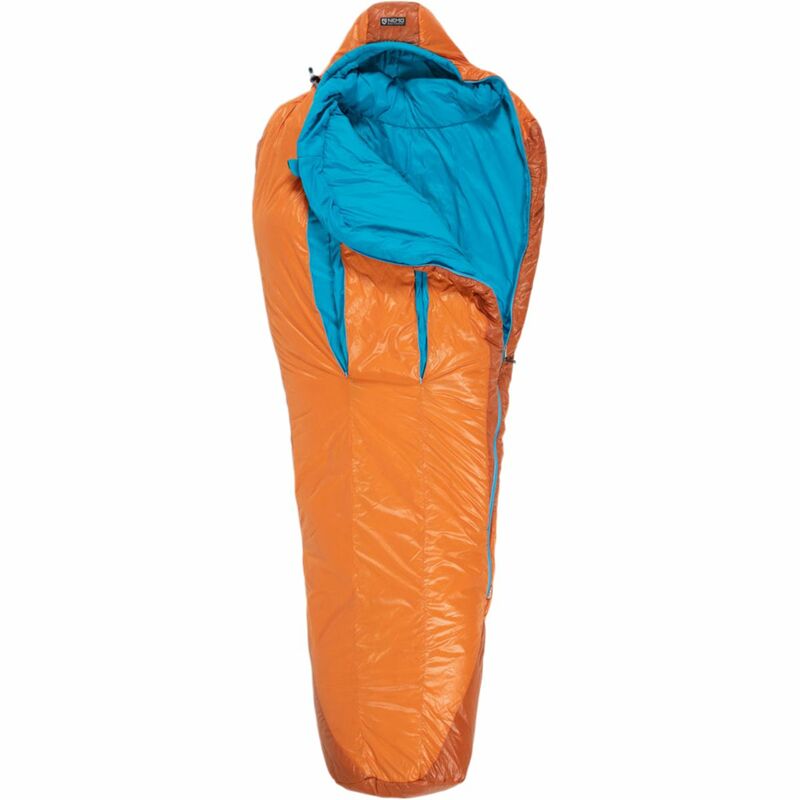 Luckily, Nemo Equipment understands this predicament well, which is why the designers decided to give the Forte 35 Sleeping Bag a spoon shape that enhances comfort while keeping weight and bulk low. 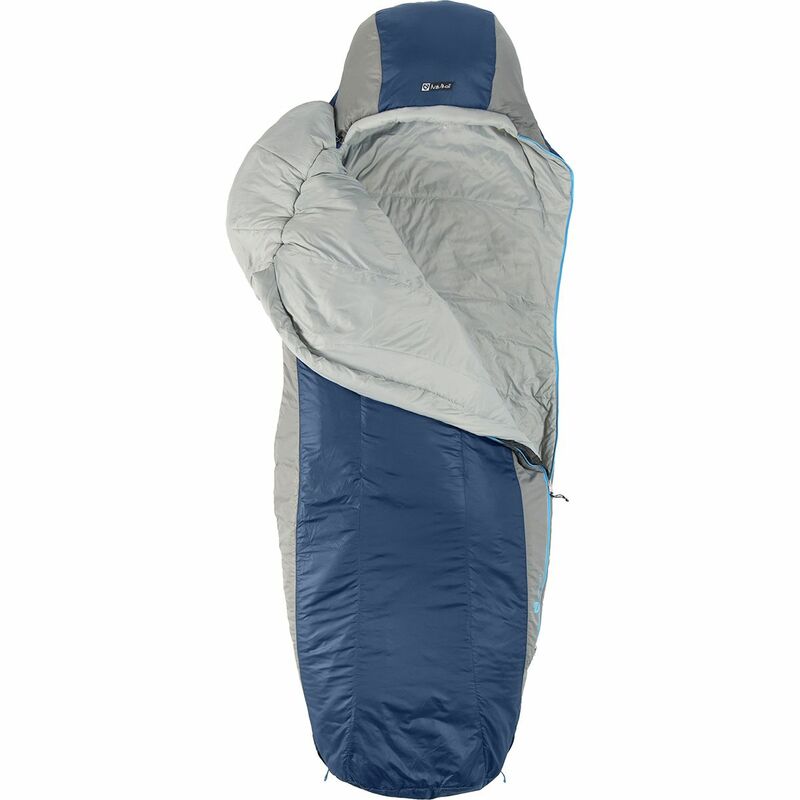 The Spoon shape is extra wide at the elbows and knees, allowing you to roll over on your side in relaxed comfort. 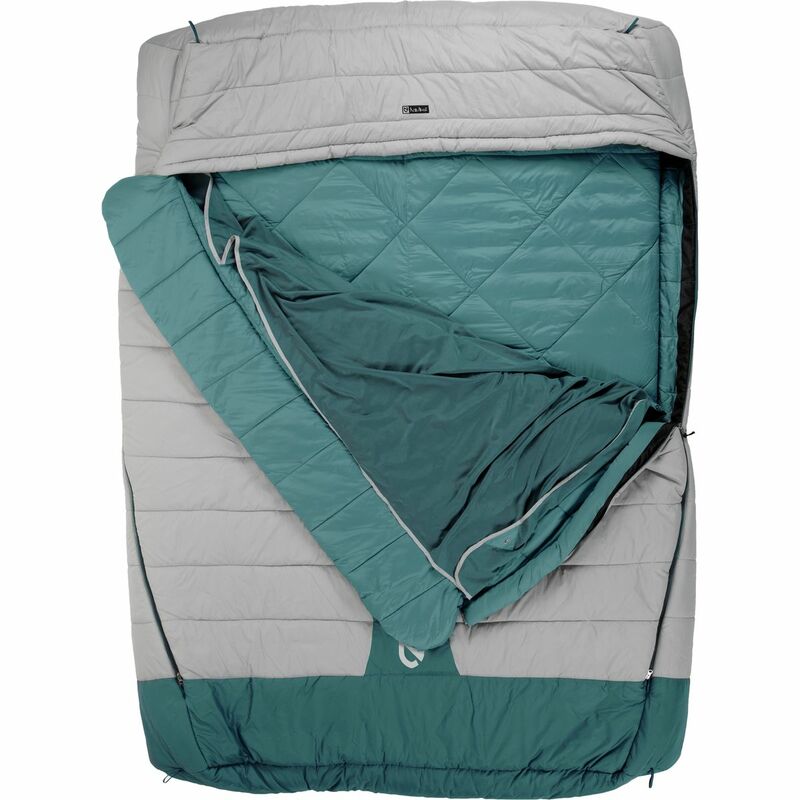 Thermo Gills allow excess heat and condensation to vent, without exposing yourself to icy drafts, and the Blanket Fold draft collar gives you that cozy, tucked-in feel. The DWR-treated fabrics and synthetic Stratofiber insulation keep you from getting clammy and cold in damp conditions, and Stratofiber insulation is also highly packable for easy stashing in your pack. Oh, and if you don't have the spare space for a proper pillow, you can just stash your puffy into the integrated pillow pocket to give you the next best thing. 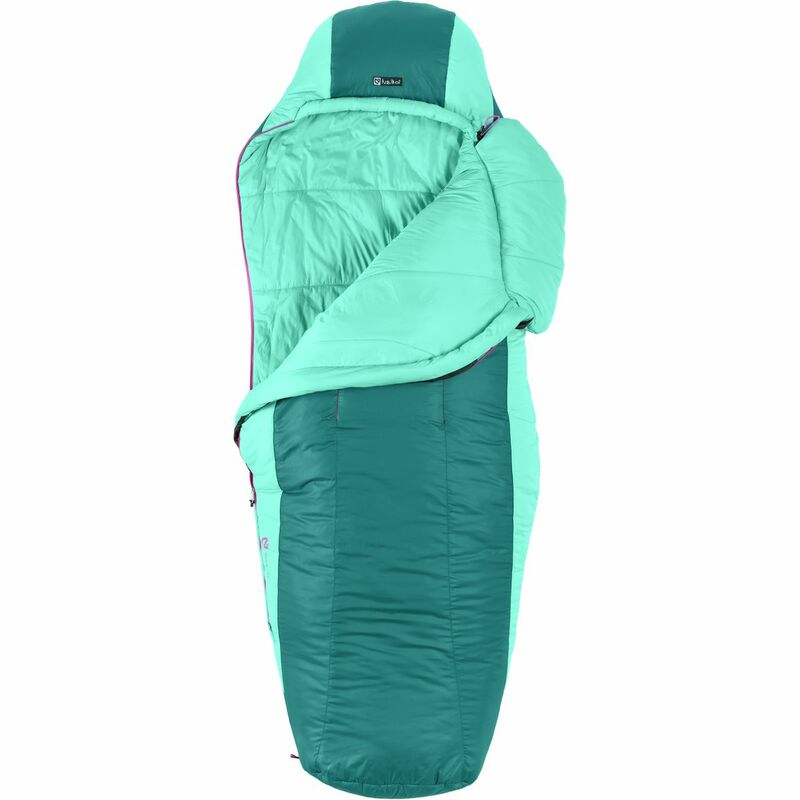 Redefining what a premium high-end sleeping bag is capable of, the Nemo Women's Azura 20 Sleeping Bag is an ultralight backpacking mummy bag that uses a revolutionary FeatherCore construction to offer exceptional compressibility without sacrificing warmth. 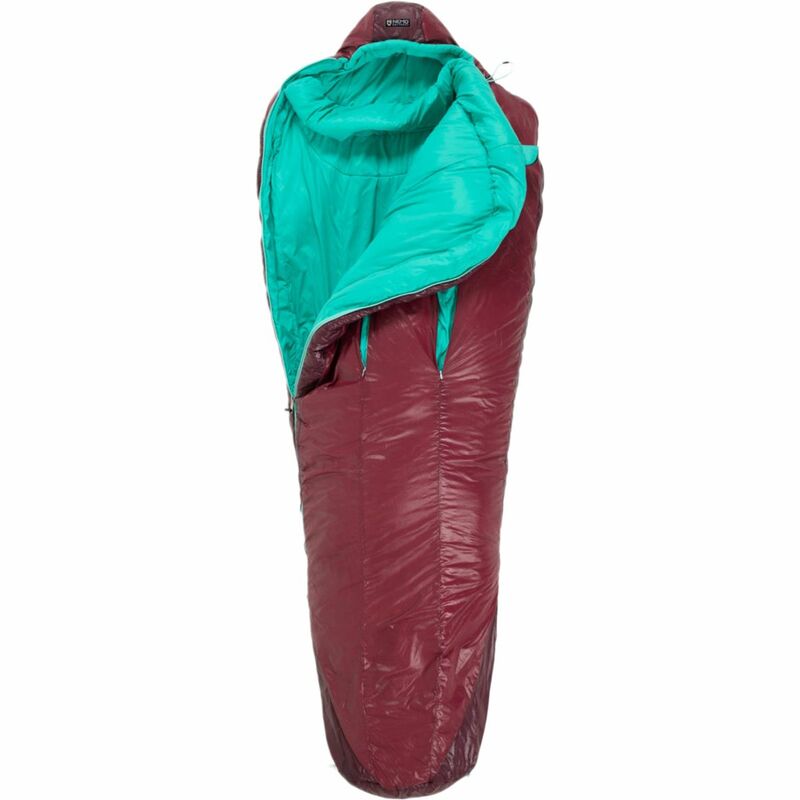 This groundbreaking design allows the bag to pack down 40% smaller, providing all the benefits of synthetic insulation at roughly the same pack-size as down. 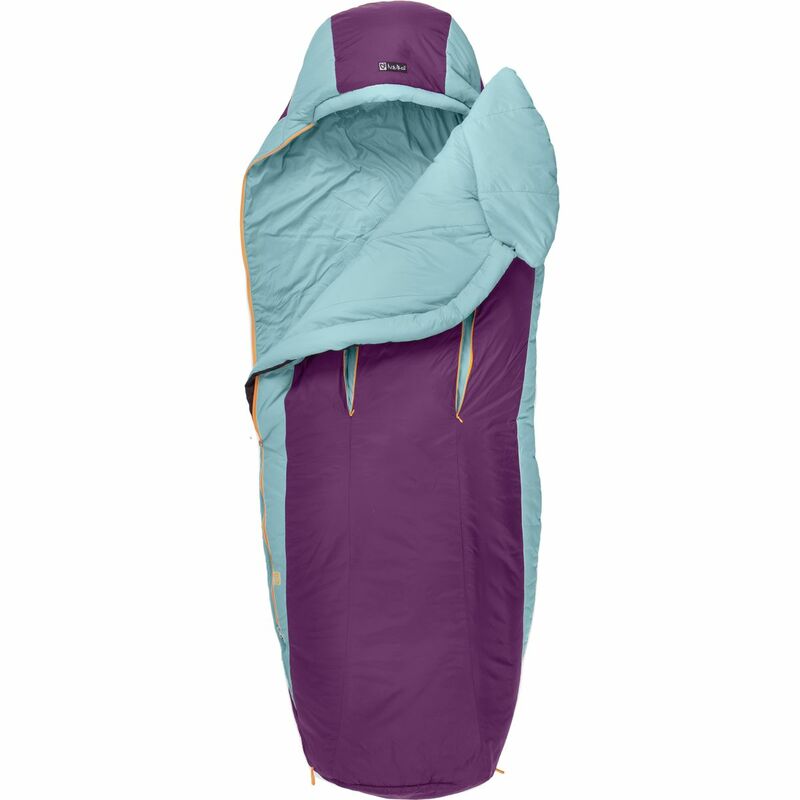 This unique construction technique pairs with the thermally-efficient shape and toasty Primaloft Silver insulation to keep you sawing logs in warm comfort through temps as low as 20-degrees. Thermo Gills help you vent excess body heat without letting cold drafts in when you get a little bit hotter than anticipated, while the generous apparel-like hood brings you even more heat retention. 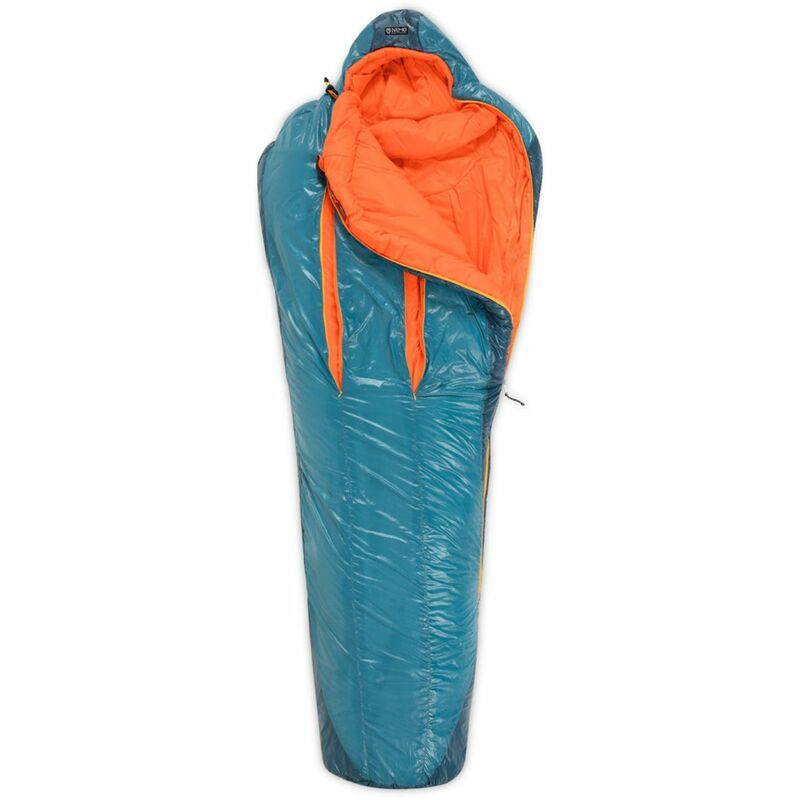 Redefining what a premium high-end sleeping bag is capable of, the NEMO Equipment Inc.'s Azura 35 Sleeping Bag is an ultralight backpacking mummy bag that uses a revolutionary FeatherCore construction to offer exceptional compressibility without sacrificing warmth. 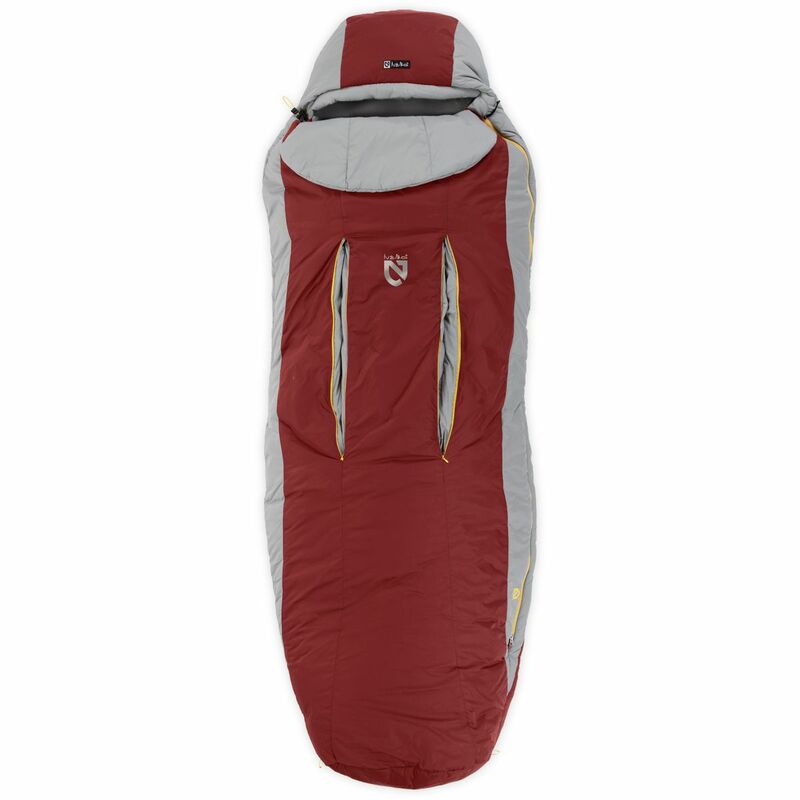 This groundbreaking design allows the bag to pack down 40% smaller, providing all the benefits of synthetic insulation at roughly the same pack-size as down. 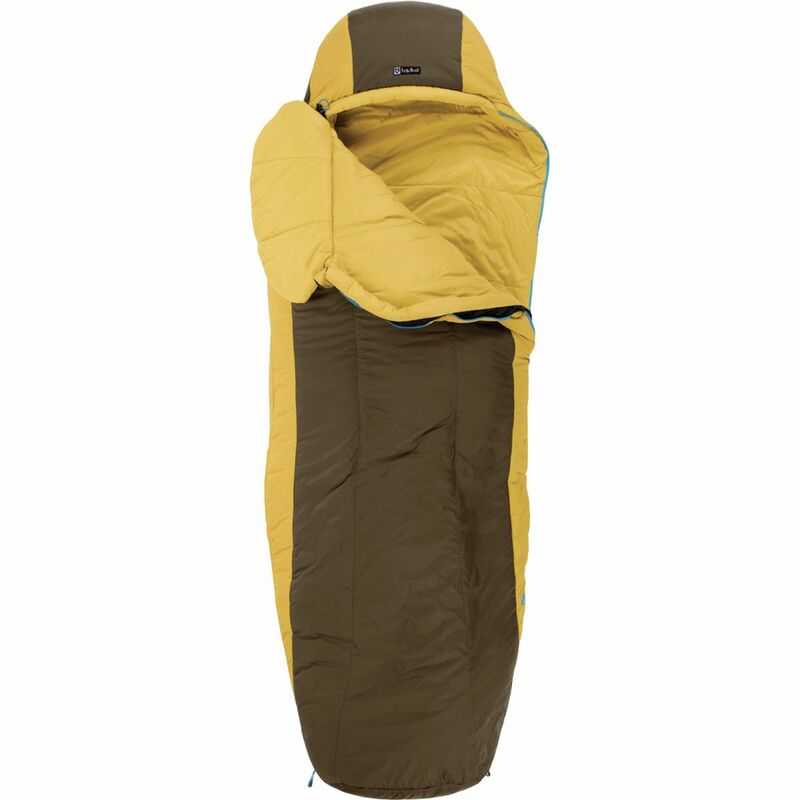 This unique construction technique pairs with the thermally-efficient shape and toasty Primaloft Silver insulation to keep you sawing logs in warm comfort through temps as low as 35-degrees. Thermo Gills help you vent excess body heat without letting cold drafts in when you get a little bit hotter than anticipated, while the generous apparel-like hood brings you even more heat retention.